Why People Leaders Must Embrace Enterprise Acceleration | Constellation Research Inc. 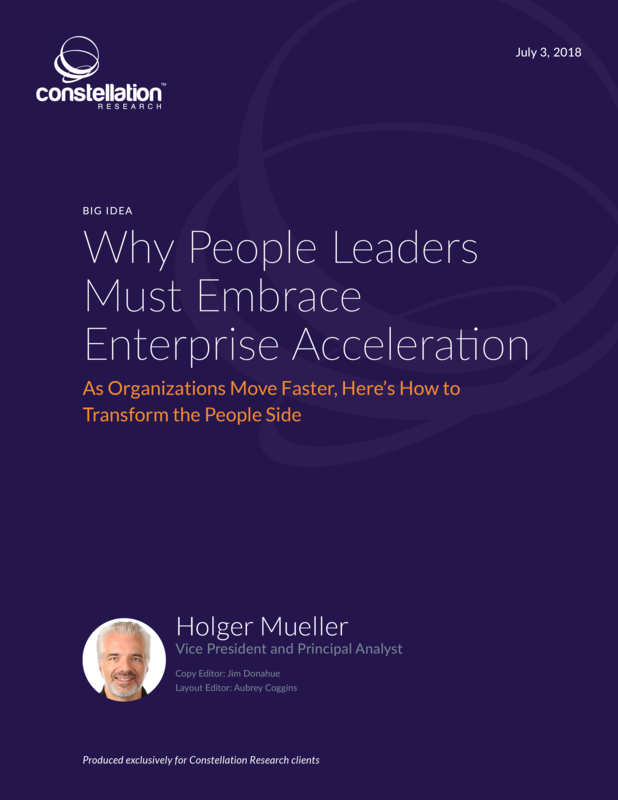 This report defines what enterprise acceleration is about, breaking it down both for people leaders and the human capital management (HCM) function of an enterprise. It also provides evidence of the overall faster environment in which enterprises have to operate today, using popular financial indexes. It continues by presenting nine criteria and trends that are crucial for people leaders to help their companies accelerate. The report concludes with a set of recommendations that will help people leaders and HCM leaders make their enterprises move faster and become more agile: in short, accelerated enterprises.